Dating at a more (ahem) mature-age, can be exciting and a drag at the same time. I am amazed that with so much to do in and around DuPage County, that I often find myself having such a hard time coming up with ideas for dates. I have decided to share some ideas for date nights with you. 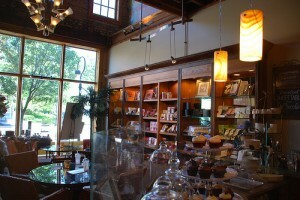 Today’s post will give you a great downtown Naperville date idea. These are actual dates that I have planned and gone on that turned out well. Keep in mind that a date with the wrong person can make even the best date ideas fail miserably. That being said, your job is to find someone decent to take on a date (I can’t help you there). Over the coming months, I will spotlight some of these ideas for dates in more posts. I plan to make these posts a regular addition to this blog; everyone can use a little extra help with it comes to planning the perfect date, right? Since this is the first post on this this topic, I’ve decided I would give you my plan for a perfect first-date. Let’s get started… As the title of this post indicates, this date idea will take you and your date to downtown Naperville. 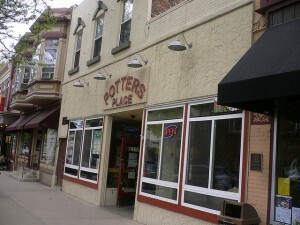 If you aren’t familiar with Potter’s Place, they serve tasty, fresh Mexican cuisine. The prices are very reasonable and the place is lively, but not loud. I have never had a bad meal or experience at Potter’s. In fact, every time I go there, I have pretty much the same experience. Do not take this to mean that the restaurant is boring, it’s not. It’s consistent, and that is what you want on a first date. You will probably already have enough on your mind, and you do not want to be worrying about poor service or bad food. I suggest you meet for dinner at or around 8:00 PM for a weekend date, and 7:00PM for a weekday date. This is generally when I have gone in the past and have never had to wait more than 5 minutes for a table (even on weekends). Many folks are trying all the other new restaurant options downtown and have stopped hording this Naperville staple. If everything is going along fine, you should plan to be at dinner for an hour to an hour-and-a-half. You may want to order a round of drinks prior to ordering food; the food comes up fast! Take your time and get to know each other. Take a stroll (heading east) down Jefferson and make a left (north) on Washington. Le Chocolat bar will be on your left. This is an easy walk and will take you no more than 3 minutes. If there ever was a place made to take a date, Le Chocolat is the place. The interior of the chocolate bar is very cozy and comfortable (possibly even romantic), with wood-beam ceilings and aromas to fall in love with. If dinner was the ice-breaker portion of your date, this will be the time and place you can really get to know each other. The coffee bar is somewhat quiet and perfect for conversation. Order a chocolate truffle or two and a cup of coffee; you will not be disappointed with either. This place will surely impress your date. If this was a weekend night, you should run right up to about closing at 11:00 PM. This may be the perfect time to end your first date, or you have more options from here… If you decide to keep the date going a bit longer, you could take stroll around the downtown area, head to any one of the numerous bars right in downtown Naperville, or take a stroll along the Naperville Riverwalk. If you give this date idea a go, please report back with your experience in the comments section below!